The HSE 2005 Control of Noise at Work Regulations define the limits of noise levels to which employees can be exposed to. Employers now have the responsibility to ensure noise exposure and level limits are monitored and kept to a minimum. This also includes work places where the risk of noise may not be immediately obvious. As noise regulations take on an even greater role in modern business, the new SP79 and SPC70 from Martindale Electric help organisations stay compliant. Designed for both industrial and office on-site measurement, the Martindale SP79 is a user friendly sound level meter. It features A and C frequency weighting and fast and slow time weighing. One of the main advantages of the Martindale SP79 is the fact that it is compact and lightweight. 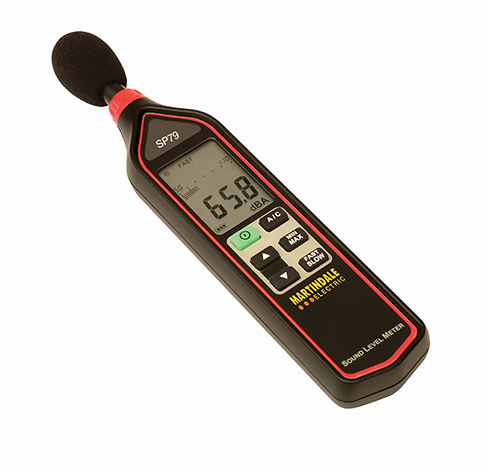 This makes it very convenient - it can be handheld for spot checking noise levels. Alternatively, tripod mounting allows for longer term monitoring of Min/Max values. The intuitive design allows quick, simple and effective screen navigation. The large high contrast display also includes both digital and an analogue bar graph. The robust SP79 complies with BS EN 61672-1:2003 and comes supplied with a detachable windshield and a durable carry case for long term high performance. 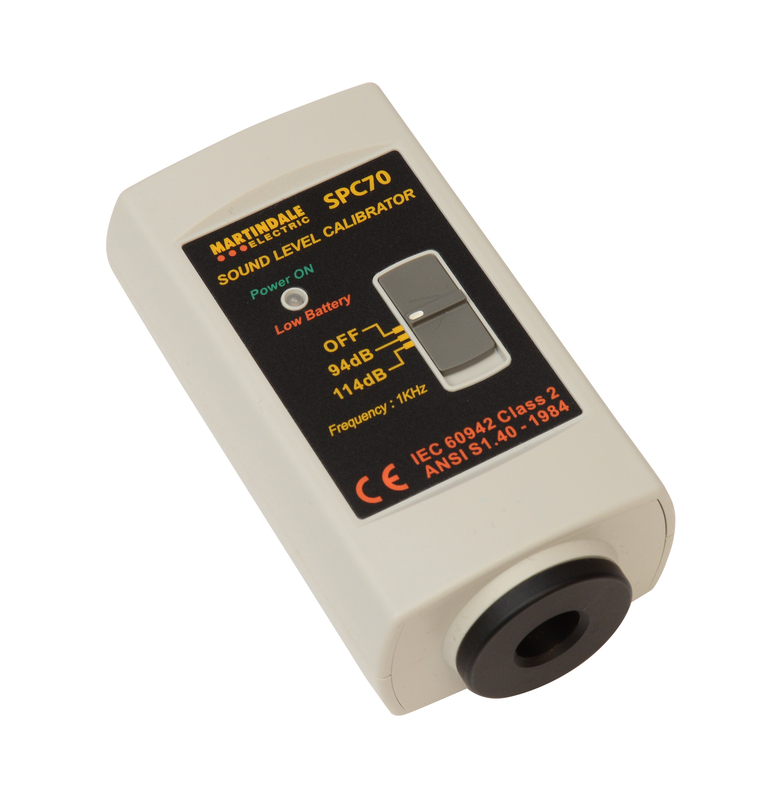 Also available from Martindale Electric is the SPC70 Class 2 Sound Level Calibrator. As with any noise measurement equipment, the sound level meter must be checked against a calibrator before and after each use. The SPC70 is suitable for periodic testing of sound meters and verifying accuracy before and after readings, in accordance with national standards. Compatible with the SP79 and other meters with microphones up to 25mm, the SPC70 provides a 1 kHz reference at 94dB and 114dB. The output is accurate to 0.5dB with low levels of harmonic distortion. The Control of Noise at Work Regulations set the level at which employers must provide hearing protection and hearing protection zones. This is 85dB (decibels) daily or weekly average exposure. At a level of 80dB employers must assess the risk to workers' health and provide them with information and training. There is also an exposure limit value of 87dB, above which workers must not be exposed. This is taking account of any reduction in exposure provided by hearing protection. The SP79 and the SPC70 provide a simple solution for ensuring noise levels are within acceptable limits for compliance with the regulations and avoiding hearing damage in the workplace. This article was published on Tuesday 02 May, 2017.